Description: For 10 years the hotel has proved in practice that a sense of comfort that you feel while staying at the hotel is not by accident. 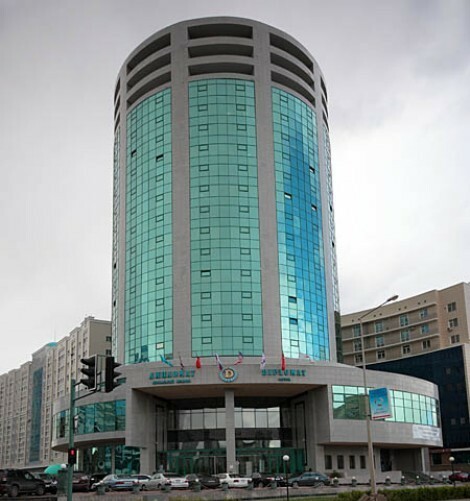 Description: Hotel “Grand Park Esil” is ideally located on the central square of Astana, close to government buildings. A few steps from the hotel you will find the largest shopping center, banks, exhibition, concert hall “Congress Hall”. 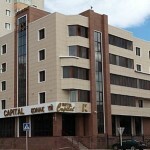 Description: Hotel “Europe Palace” was opened in December 2005. “Europe Palace” is a restaurant – hotel complex in Astana, quiet, despite the fact that it is located on one of the important streets of the city. Location: Hotel «Imperia G» is located in the historical center of Astana, which is in close to major business and administrative institutions at the intersection of Abay Avenue and Valikhanov Street. Located within 30 minutes drive from the airport. Location: 29 / 1 Tauelsyzdyk str. Location: 20 Kuishi Dina Str. Description: the hotel has convenient location, reasonable prices, comfortable rooms and modern service. Service of the hotel and professionalism of the staff will make your stay unforgettable.